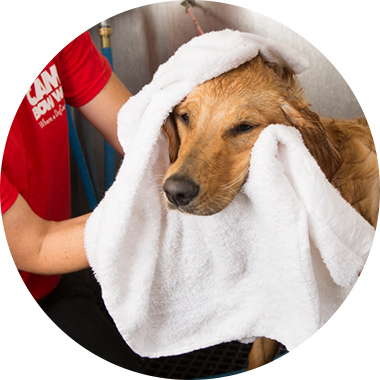 Contact us at (479) 268-4120 to learn more about our dog grooming services. Our best value, the Doggie Deluxe includes a bath with oatmeal shampoo and conditioner, a nail trim and ear cleaning. Give your dog the "ultimutt" spa treatment that includes a bath with oatmeal shampoo and conditioner, a pawdicure, teeth brushing, a blueberry facial and a bandana!